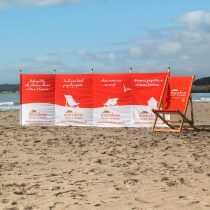 YORKSHIRE COASTAL COTTAGES SPECIALISE IN FOUR AND FIVE STAR GOLD LUXURY SELF-CATERING COTTAGES. 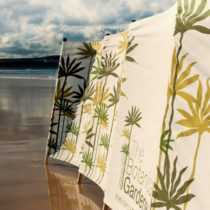 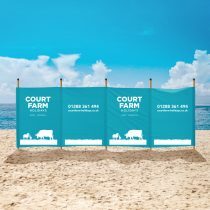 South Westerly Windbreaks produced a large set of bespoke windbreaks for Yorkshire Coastal Cottages. 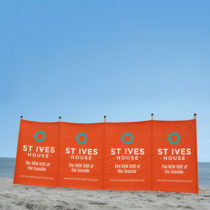 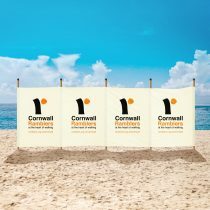 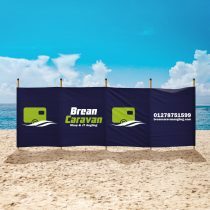 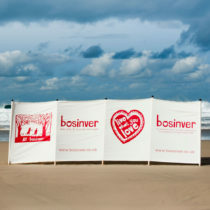 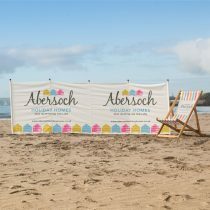 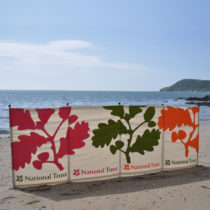 These bold, bright and bespoke promotional windbreaks have been received with a smile! 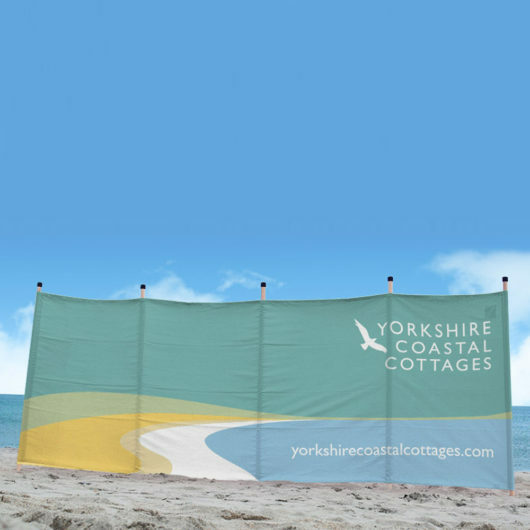 Yorkshire Coastal Cottages have ordered a windbreak for each of its properties. 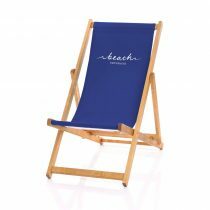 This is a lovely extra for any of their customers wishing to go to the beach or relax outdoors. 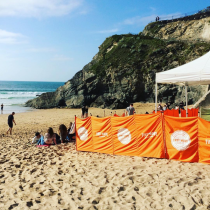 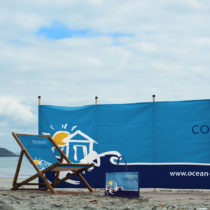 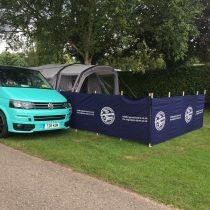 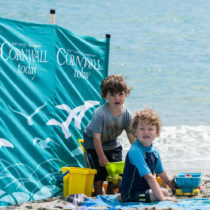 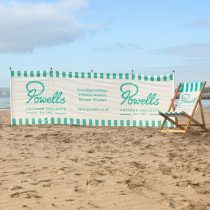 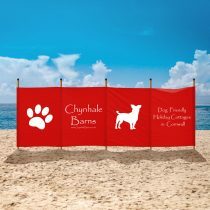 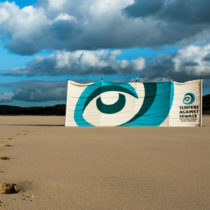 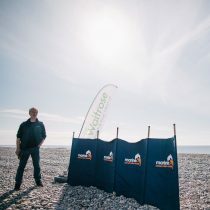 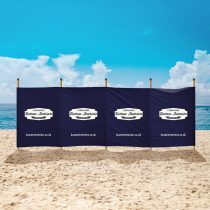 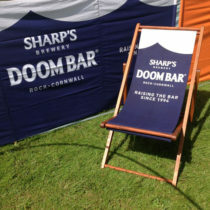 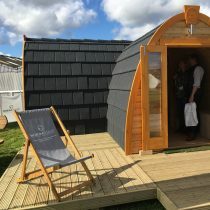 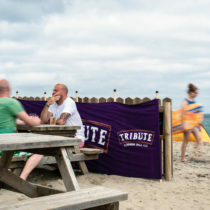 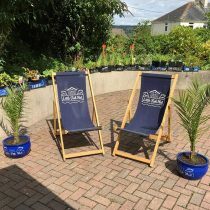 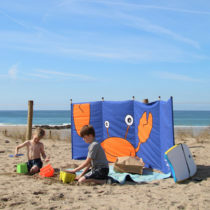 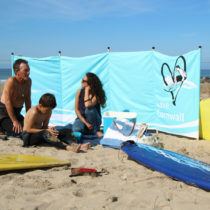 Having the public see their customers relaxing in style in the shade of a cool branded Yorkshire Coastal Cottages windbreak is a fantastic way of promoting themselves. 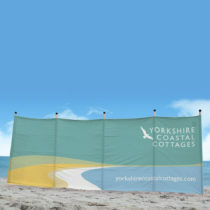 Yorkshire Coastal Cottages also order branded jute bags to be given to guests and sold at promotional events. 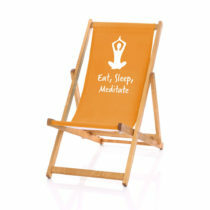 To view a range of jute, juco and cotton promotional bags and other items, take a look at GoJute Ltd.